I love our inspiration photo this time, I had so many ideas in my head but I took the idea that got me to use some NBUS I have had over a year now. I think I was a bit intimidated by all the outlined images, but ended up quite fun to colour. I am practicing the need to not colour the entire image in and leaving some more white space inside the images. I have been picking up lots of tips during Kathy Rasoosin`s 30 Day Coloring Challenge! This is my Day 27 colouring for Kathy Racoosin`s 30 Day Color Challenge. 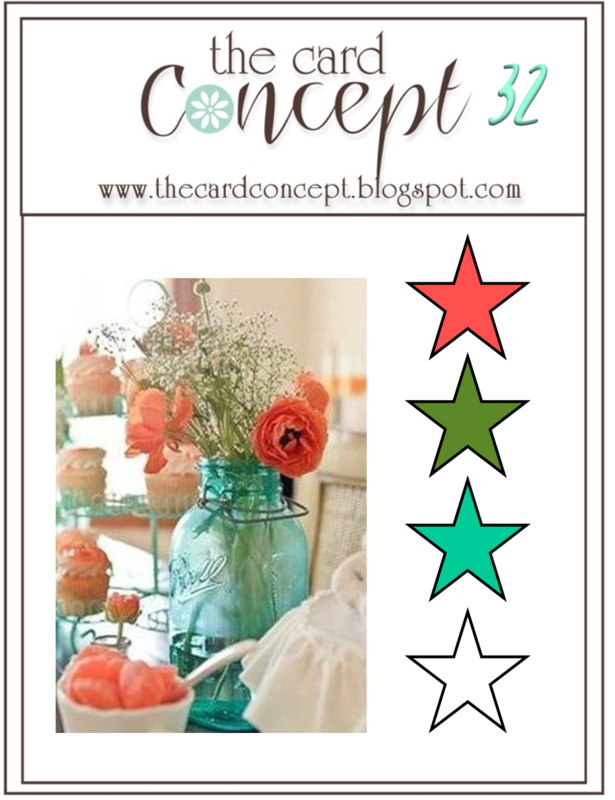 Hope to see you come and play along at The Card Concept! LOVE this CAS beauty Tracey!!!!! Oh just so lovely Tracey. Love all that white space. Such sweet flowers. I love that inspiration photo as well! Your card is stunning Tracey!! I love your flowers and you did a beautiful job leaving white space ( i struggle with this too) but it really turned out gorgeous!! Loving the touch of shimmer! The soft pops of color are perfect Tracey. Sooooooooo beautiful! LOVING the colors!!!! Gorgeous card, Tracey! Love your coloring! This is so gorgeous, and I love the soft way you colored your flower. Fabulous coloring! Beautiful card. Have a Happy Easter! So beautiful Tracey! I love how you left bits of white space in your coloring! So beautiful! 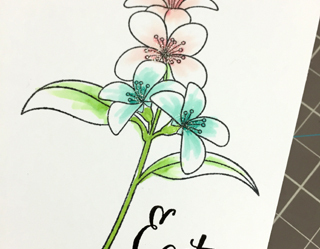 I love how you've scribbled the color on the flowers and left lots of white space! 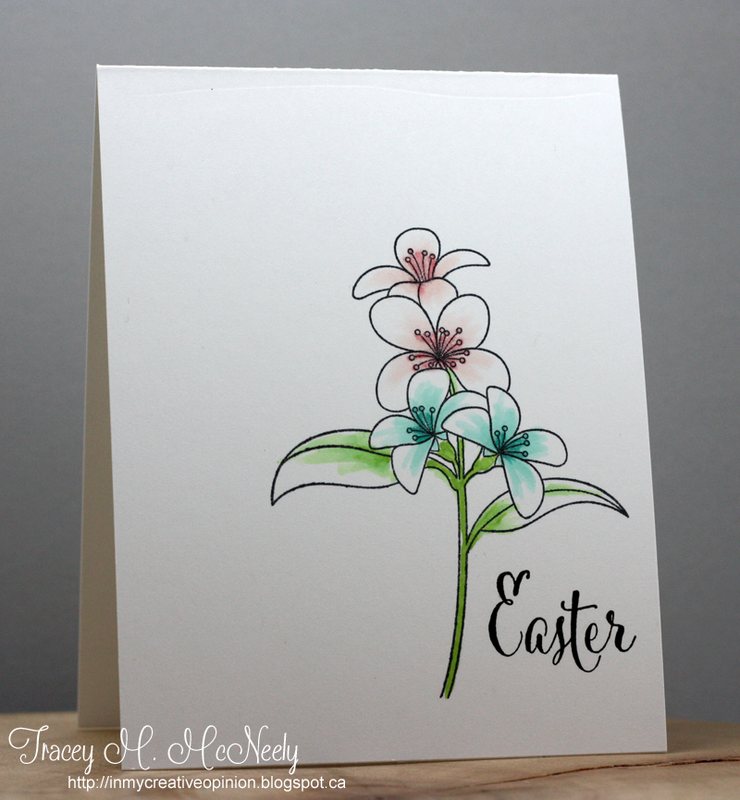 Soft and delicate Tracey, a lovely Easter card! Tracey....oh my goodness! Your beautiful flowers look so real...your coloring is simply amazing. Wonderfully sweet card, Tracey! Love the subtle coloring! Your coloring, and not-coloring, give the flowers a beautiful watercolor look, Tracey. Your spot-light colouring is such a lovely treatment of these pretty flowers! Yet again, you've worked magic! So lovely card Tracey!! I love your gorgeous CAS card as always!